Have you (or a loved one) been diagnosed with cancer? Successfully and permanently overcome a cancer condition. Take advantage of two cutting edge diagnostic tests that can detect early cancer many years before traditional scans. These tests are making a huge difference in remission results and disease outcomes. Evaluate cancer-killing strategies (both toxic and non-toxic) and confirm efficacy through specialized genetic testing from a world-class lab that is second to none. Repair any damage to your immune system and confirm through specialized testing and protocols. Find an integrative oncologist to take advantage of the latest science in the field of targeted therapy especially through circulating tumor cell technology. Address underlying factors involved in the disease process (that you often won't hear from doctors). Avoid critical shortfalls in today's standardized care for the treatment of cancer. Much of the cutting edge information provided in this course is derived from Janet’s many years of dedicated research and applied application as a mother of a successful cancer survivor. Meet your instructor and see what’s covered in each myth below! Often your doctors don’t have all the answers you need.…. because there is a huge lag time between new methodologies for treatment and many doctor’s practical applied knowledge. From our knowledge of medical organizations we will show you how to find a progressive, integrative, oncologist who utilizes the latest scientific advancements in cancer care and diagnostic tests. As a revolutionary example, the “Circulating Tumor Cell Blood Assay” can detect if you have any remaining circulating cancer cells in your blood after surgery or treatment, and long before cancer can be seen on a scan. A progressive oncologist knows this and can utilize this blood test in the early phases of diagnosis: 1) for early cancer detection, 2) to monitor the response to treatment, 3) to analyze the effectiveness or resistance of common cancer drugs or natural substances for anticancer potency before treatment begins, 4) to monitor early cancer recurrence and 5) to perform genetic analysis of your cancer cells to determine targeted treatment therapies against any cancer mutations or to determine chemo-resistance markers. I will also show you how to test your living tumor tissue against various chemotherapy treatment options for chemo-resistance and chemo-sensitivity to achieve a more personalized targeted approach to conventional chemotherapy. There are other newer diagnostic FDA approved tests than PET/CT scans and/or MRI tests to provide you with early cancer detection and provide more confidence of your cancer condition. This will be covered in this section. You will learn what disseminated latent micro-metastases are, how to detect and address them by boosting immunity, and why they are important to prevent a cancer recurrence. It's important to understand Natural Killer (NK) cells, which are the body’s natural defense against cancer and micro-metastases. When presented with a cancer diagnoses, it’s extremely important to understand and rebuild the health of your immune system. The immunotherapy report that comes with the course provides details on how to repair and restore immune system health and how to confirm through specialized testing. One test that can determine immune efficiency is the “Natural Killer Cell Function” test. This course will direct you on how to find a qualified physician to order a NK Cell Function test throughout the United States. This section provides methods and resources to find additional funding for cancer tests and treatments not covered by insurance. Tests and treatments not covered by insurance can be quite legitimate and cutting edge, and may be necessary to save your life. The course will teach you about targeted therapies based on a patient’s individual personalized tumor 's molecular profile. These targeted therapies utilize the new field of medicine called Genomics and Proteomics Analysis. Genomic analysis is the study of DNA and RNA gene mutations. Proteomics analysis is the study of proteins produced by mutated genes and their critical pathways to determine the driver of growth at the cellular level. You will learn why the current practice of only depending on Genomic Analysis is insufficient and why Proteomics Analysis is necessary to make an informed molecularity driven clinical treatment decision. You will also learn about cutting edge therapies such as Viral Oncology and the positive results of clinical trials performed in this country. Viral Oncology is the genetic modification of certain viruses to fight and kill cancer. The treatment cure leaves patients with no adverse side effects, as contrasted with chemotherapy. The course connects the student with the world's only cancer viral-therapy, which is available to the general public. This viral therapy is not genetically modified, yet is non-pathogenic which means it does not replicate nor cause disease in humans. This viral therapy attacks and enters the cancer cell then begins to replicate itself until the cancer cell ruptures and dies. These days, with the additional information available in the last five years, the cancer diagnosis does not have to be a death sentence. Thousands of people are recovering from cancer with new information and personal effort. Cancer alters several of the body’s many metabolic pathways to change and disrupt your body’s built-in defenses. The course will show you what steps the cancer cell takes to override your defenses, so you can understand what strategies can block cancer activity with special attention on how to overcome the way cancer cells debilitate the immune system to gain and retain a foothold. This section will cover the genetic and metabolic pathways a cancer cell uses to develop and survive in your body. This information will help you evaluate the importance of life-style, environmental, emotional, and dietary changes that affect the action of cancer on specific pathways. Cancer patients need serious and controlled detoxification to heal from cancer and its destructive treatments. The course will allow you to evaluate both toxic and non-toxic cancer killing strategies provided, as well as, the details on how to address the detoxification of the toxins that cancer cells release when they die. Many, many stories contradict this myth. Immediate alteration of diet, life style changes, and the resolutions of emotional issues have done wonders for health. You will learn about the many underlying environmental and lifestyle factors that negatively affect immunity, programmed cell death and growth suppressor gene activity or that initiates cancer that you may not be aware of. An extensive list of questions concerning you and your environmental choices and lifestyle adjustments are supplied as well as explanations, recommendations and considerations for each of these questions. PNI refers to the field of science relating to how thoughts and emotions directly affect the immune system. PNI investigates the role of emotions in causing and eliminating cancer. This class will identify specific stressful feelings and emotional patterns occurring over years that have been clearly identified as cancer promoting. This myth will explore stress and the cancer connection. The course and possible consultation by Janet Price, DCH will provide you with sufficient awareness of paths to follow, that are not provided by the current standardized medical profession. An integrative cancer program incorporates scientifically proven nutrients and botanicals to help protect your healthy cells from the effects of toxic treatments, to enhance the killing effect of chemotherapeutics, and to minimize the toxicity and damage imposed from radiation and chemotherapy. Additionally, an integrative cancer care program, or oncologist, addresses the many underlying factors involved in the disease process, emotional and chronic stress factors, environment pollutants, lifestyle choices, and dietary concerns. This course will provide resources to assist you in finding an integrative oncologist. This course prepares you for the understanding that you need more information than you currently have, to successfully battle a cancer condition. A portion of our proceeds are donated to The Center for Advancement in Cancer Education (BeatCancer.org). This wonderful organization offers highly skilled counseling on a donation basis, and no one has ever been turned away for inability to pay. Profile – Janet Price, DCH is a skilled Patient Treatment Coordinator concentrating on advising and guiding clients in both the care and approach to cancer therapies. Janet's passion comes from her own life-saving experience in the resolution of cancer for one of her twin sons. Price's experience, skill and practice comes from her delving into the cancer situation with over 15 years of intensive cancer research. This research and her work with progressive oncologist has made Janet a force majeure in the field. There are many new tests and treatments that exists today for the cancer situation that are available for patients. These advancements are often ignored by the medical establishment primarily as a result of insurance limitations. As a certified holistic cancer support educator, Janet's research has uncovered many of these innovative practical methods. 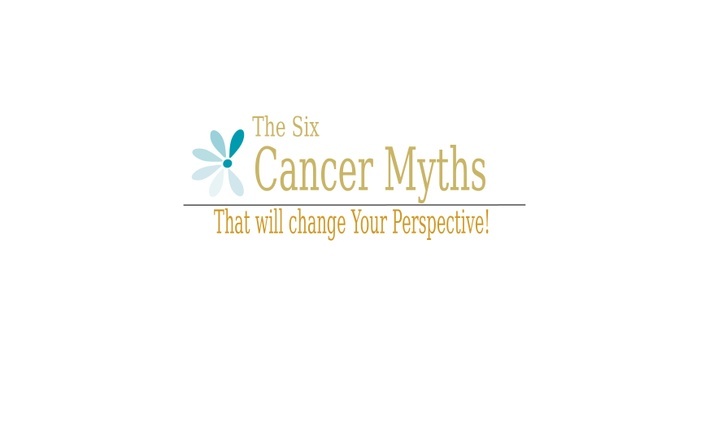 She brings this information home to those for whom she consults individually, as well as in her online course, The Six Cancer Myths That Will Change Your Perspective. Janet invites you to visit SixCancerMyths.Com. Accomplishments. In her early practice, Price became a Patient Treatment Coordinator for a medical doctor and cancer specialist in Tustin California. With this experience and working with other oncologists, she has gone on to become an accomplished researcher specializing in the latest advancements of treatment and diagnostic methods within the field of cancer. She directs her clients to these advancements and provides options and resources based on her client's physical, financial and geographic limitations, as well as their social support systems. Price also supports the Nexalin product Corporation as a valued consultant. Nexalin technology provides a safe, effective, and drug free treatment for people who suffer from anxiety, depression, insomnia, and PTSD. In addition to counseling cancer patients, Janet lectures within her local community as a health advocate. All of the lectures and resource materials in The Six Cancer Myths that will Change your Perspective online course will be available immediately. In addition to the online course the silver package includes 6 months of access to monthly support group webinars hosted by Janet Price including Q&A sessios. The gold package includes full access to the online course, 6 monthly webinars, and a one hour individual teleconference with Janet Price.